Should I Wait Until Spring to List My Home? Waterfront Toronto and the City of Toronto have started work to create a development and implementation plan for the Port Lands and are inviting members of the public to be part of the process. The goal of the initiative is to deliver a high-level road map for accelerating the development and maximizing the value of the Port Lands as a city legacy. 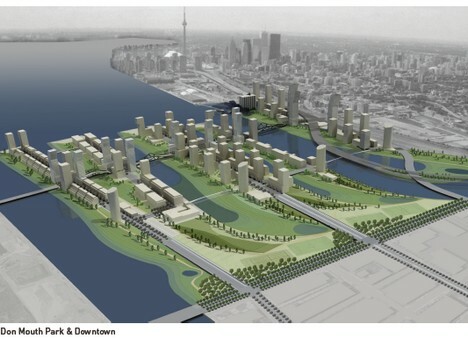 The undertaking, the result of Toronto City Council`s September 21 unanimous decision for Waterfront Toronto to lead a review of the Port Lands, will be informed by extensive public consultation. An initial public meeting was held from 6:30pm to 9:00pm on Monday, December 12 at the Toronto Reference Library, 789 Yonge Street. The meeting included a summary of the process and goals for the Port Lands initiative, and an overview of challenges and opportunities in accelerating development. As well, the meeting gave everyone the chance to ask questions and discuss their goals and ideas for accelerating development of the Port Lands. Development of this site is long overdue, but inevitable now that the Pan Am Games are set for 2015.